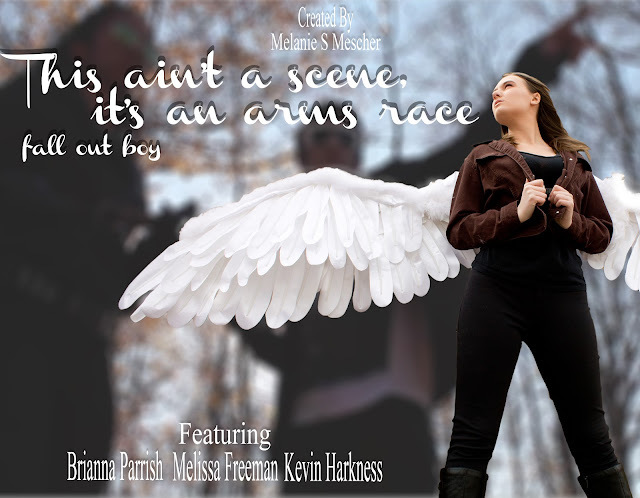 Alright, I am currently editing a music video for the song: "This Ain't a Scene, It's an Arms Race" by Fall Out Boy. We took a whole day of filming, and I need to get all the edits done by Wednesday. Today, I got really into the editing, and it looks pretty sweet if I do say so myself. It helps when you have great actors: Brianna Parrish, Kevin Harkness, and Melissa Freeman, THANK YOU!